Junior Mischael Cetoute first realized his life wasn’t fair in sixth grade. There, he was suspended for calling his teacher a “b*tch,” while another student – a teacher’s child – did the same but was not reprimanded. Former Princeton University students Catharine Bellinger and Alexis Morin founded SFER in 2009. The national group has grown to more than 140 undergraduate chapters in 30 states. Cetoute, who grew up in Pembroke Pines, Fla., felt the same way. He said it didn’t feel right that he was the only African-American student in his high school Advance Placement (AP) classes. He said two of SFER’s main goals are to eliminate race-based academic standards and have racial equality in higher education. “There is no reason why African Americans, who represent 13 percent of the U.S. population, only represent 4 to 5 percent of higher education,” Cetoute said. Cetoute understands it’s an uphill battle. “I can’t say it’s a success until we create a structure where prospective members can say, ‘Wow, I need to get involved,’” he said. While SFER lobbies government officials when appropriate, its main focus remains spreading the message in all academic settings from college campuses to elementary schools. “This organization makes students aware of the inequalities happening in our backyard, as well as give them the opportunity to affect change,” said Alexis McDonald, a UM SFER member. McDonald and other SFER members promote positive dialogue and are not looking to protest. 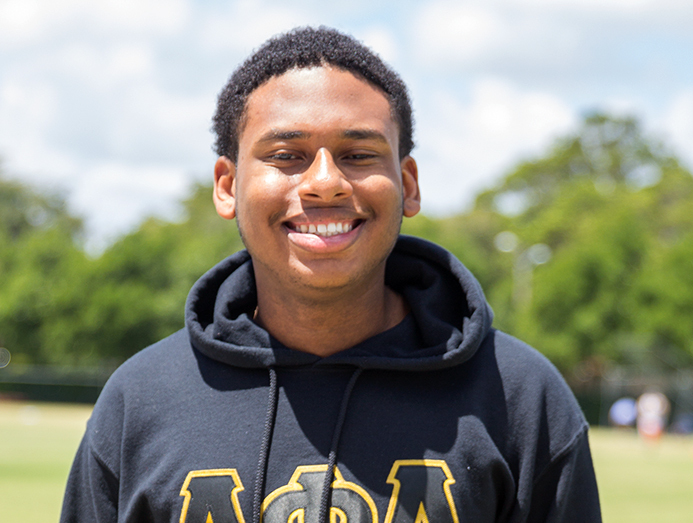 While SFER hasn’t changed the world yet, Cetoute said events like the September discussion with Florida Sen. Dwight Bullard are beginning to open people’s minds. Growing up, Cetoute said he wanted to be like Batman because the comic book superhero embodies philanthropy and action. And just like Batman, Cetoute said he fights because he feels he has a moral obligation to do what’s right.